The original commercial winewell bottle chiller cooling unit represents the most economical way a retailer or restaurant can offer cold bottles to their customers in less than 4 minutes without having to use up precious refrigeration space! This unit is so compact that it is only slightly larger than its refrigeration unit. It moves easily on its own small casters so that water changes (once a month) can be made near a sink or drain. 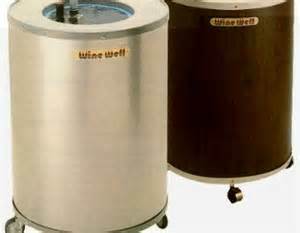 We Carry SPLIT AIR Wine Cooling Systems plus thousands of unique wine accessory items. THE OTHER GUY’S SYSTEM MAY LOOK LIKE OUR SYSTEMS BUT THEY DEFINITELY ARE NOT! WE ONLY SELL THE BEST BECAUSE YOU DESERVE THE BEST! CLICK HERE for information on our Best Top-Of-The-Line Wine Cellar Split Air Systems. I’ve been a wine fanatic for over 40 years and love to talk about wine. Wind me up and watch me go! I started out as a restaurant owner in the 70′s and then moved on working as a wine & spirits sales specialist representing the largest distributor in the U.S. Wine Accessories Unlimited or WineAccessory.com started up as a family owned internet store in 1997 during the beginning stages of the internet. Being in the wine business I could not find the wine accessories, wine bottle openers, gizmos and gadgets that I needed. I figured if I could not find them than nobody could. Wine Accessories Unlimited is your one-stop shopping mall for excellent, top quality products. (1) Wine Accessories Unlimited is a rapidly growing family-owned private business. When you call us you’re reaching knowledgeable people who know what they’re talking about, not the order taker personnel. (2) Our quality control standards are the most stringent in the industry. Since we are always closest to the source we personally examine ALL the merchandise before we accept delivery. We REJECT more than 50% of what we see because it is not perfect! Guess who is shipped what we refuse??? 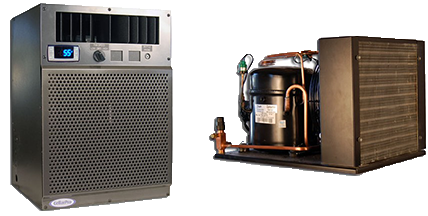 (3) We only carry the highest quality split air and air handler wine cooling systems available today. (4) We specialize in rapid turn-around time because we carry an extensive inventory. When you want it FAST, we are the people who can deliver it for you! book-marкing annd checking back frequently!